This romantic heart was crafted in Murano, Italy. 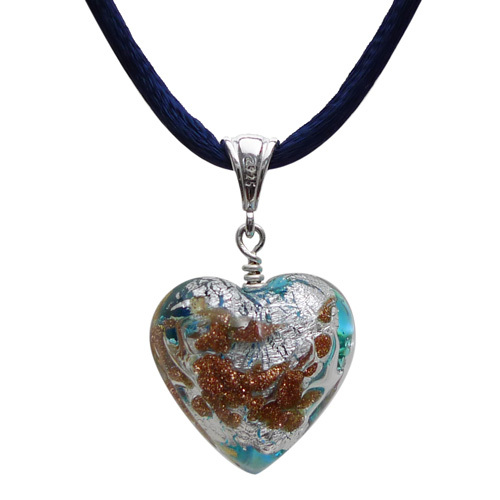 Crafted by hand, each pendant is a unique mix of brown, gold, and silver, within a blue heart. This heart is approximately 3/4" across. It comes with an 18" satin cord, to accent the heart. Cord colors may vary. Beautiful, unique, and can be worn year round!